This article will walk you through how to create a team and add team members, all from the admin center. 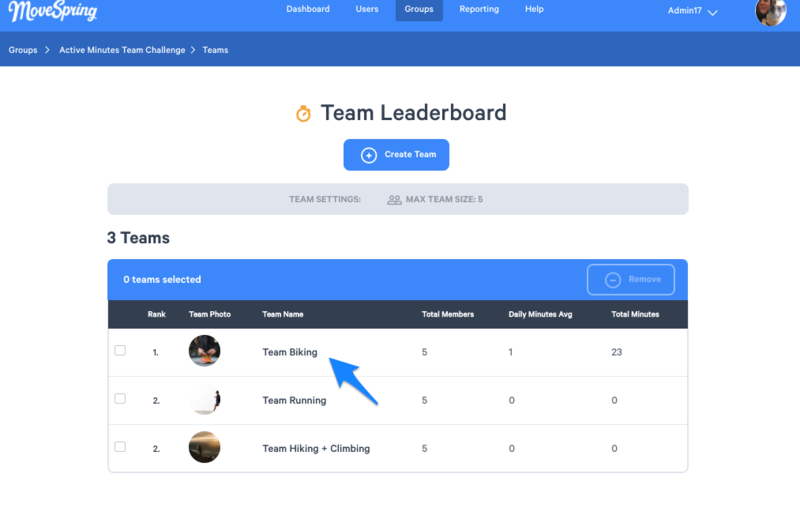 To add a new team to your team leaderboard module, which you can do at any point throughout the challenge, head to the admin center, and click on 'Groups' from the top navigation bar. 1. 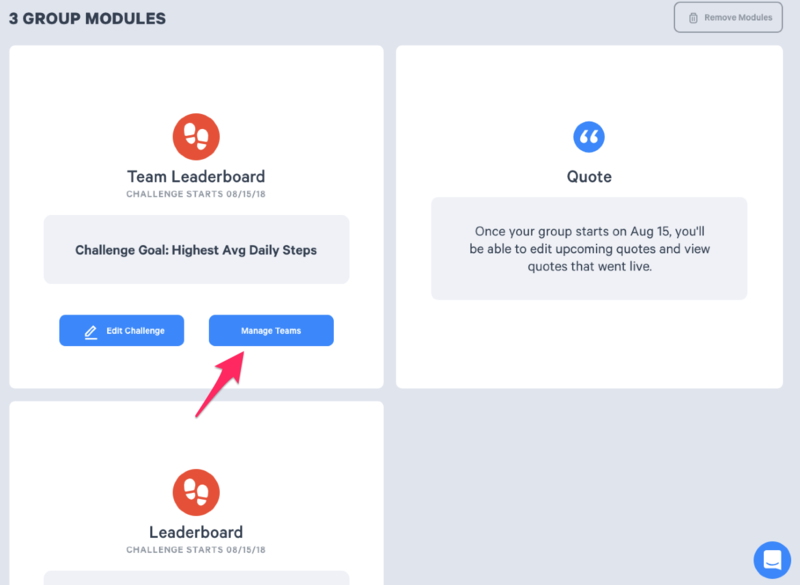 Select your challenge group from the list of groups. 3. Select "Create a Team" at the center. 4. Enter the team name into the dialog box and select a team image. 5. Create your team. Refresh your screen if you do not see your new team populate right away. 6. To add users to a team, click on a team name, scroll down, and use the "Add User" button. Your users must be in your group before you can add them to teams. 7. To remove a user, select the box next to the user's name and use the "Remove" button. 3. Select the name of the team in which you wish to edit. 4. 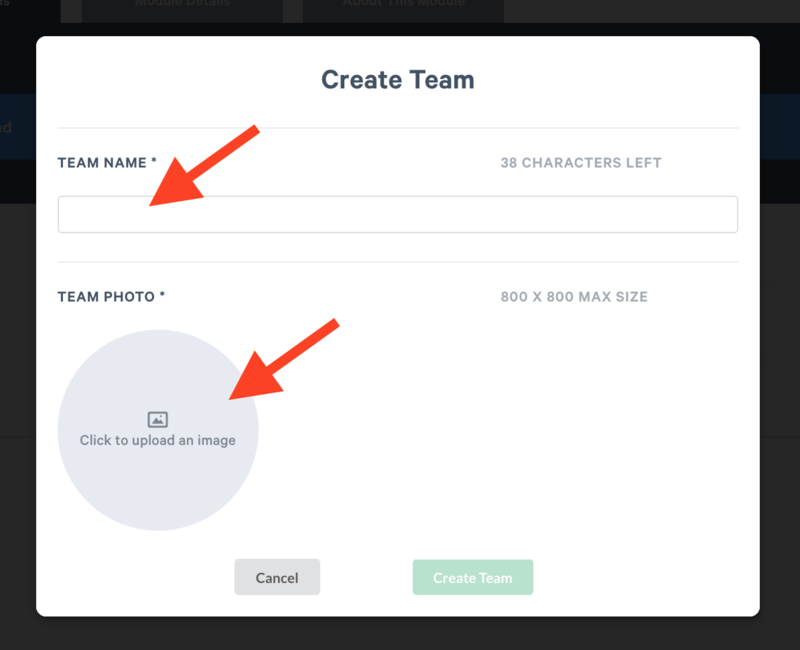 Hover over the photo to edit the photo or select ' Edit Name' to edit the team name.